October is Health Literacy Month! This is a time for organizations and individuals to promote the importance of understandable health information. 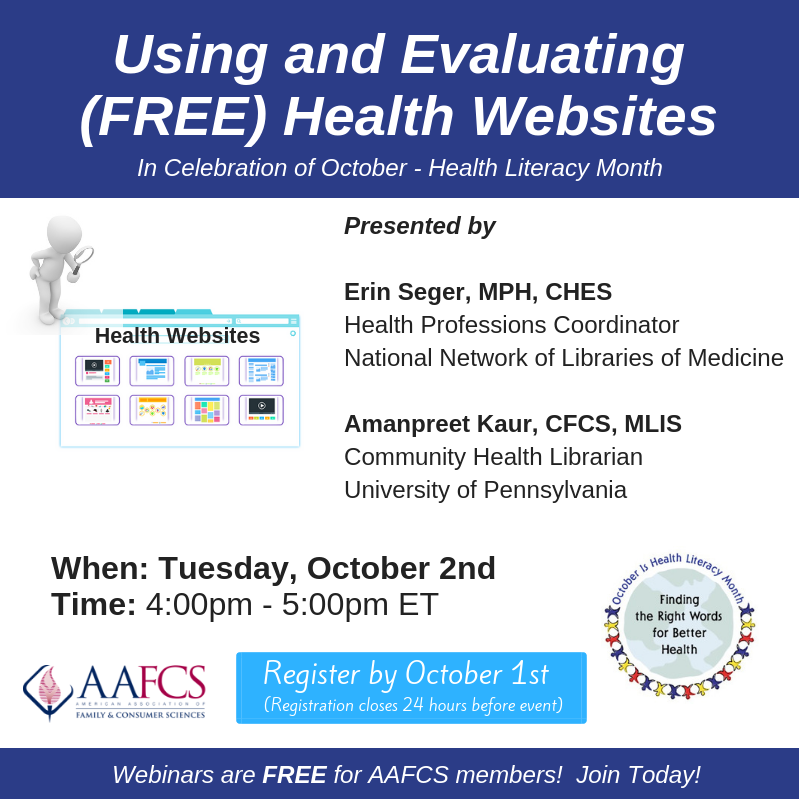 This webinar is a great way to celebrate the month as we share reliable online health resources. With the amount of health information available online, it can be difficult to know where to turn for trustworthy information. This session will focus on the identification and use of reliable consumer health resources. The presenters will highlight the importance of using reliable, evidence-based resources and teach participants how to differentiate between trusted sources of health information and those that are not trustworthy. Login: Once registered, attendees will receive access instructions 24 hours prior to the live event.